There are many instances where should there be a AC grid power failure, serious and even life threatening situations can occur. In order to be protected against such events battery backed systems need to be employed. Whether its for a large scale UPS to ensure critical data isn’t lost in a Data centre, ensuring 100% uptime of critical Telecommunications, signalling or sub-stations or a simple battery backup system for a critical medical device SPB has a battery option to suit you requirement. 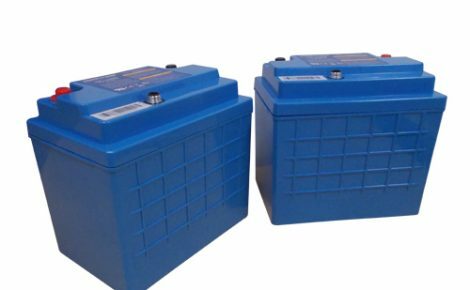 Monitoring the batteries of your critical power system means piece of mind that you batteries will work when they are required. 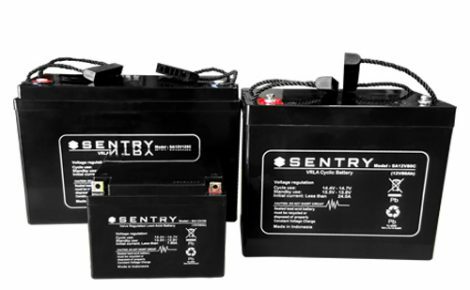 Battery monitoring systems save time and money through reduction in testing and replacing and ensure you get the most out of your batteries ensuring you are not replacing good batteries before their end of life. There is not point having a monitoring system if it is not utilised to its maximum potential, this is where the 24/7 monitoring, reporting and predictive analysis service makes perfect sense. Through this system you can extend the life of you batteries by up to 35% and ensure 100% up time 24/7. Lithium based technology is becoming increasingly popular due to it high cycle life and reduced weight. 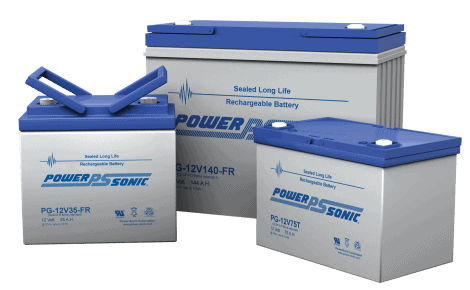 There are a number of different Lithium technologies which exist, each with their own set of characteristics, the range from Power-Sonic are of the Lithium Iron Phosphate (LiFePO4) composition. 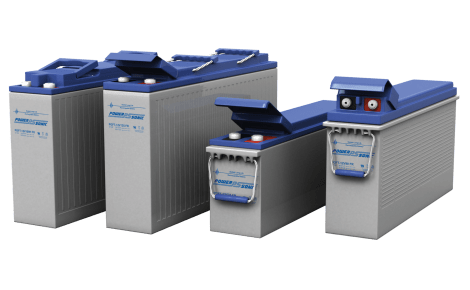 LiFePO4 has high current rating, long cycle life is tolerant to full charge and most importantly is one of the safest Lithium technologies available. With a thicker plate design, the Power-Sonic PG range are designed specifically for those critical standby power applications. When you have a requirement for higher discharge, 10 year design life or flame retardant case the PG range is what you require. All the benefits of the PG range but with the added feature of easy to use front terminal connection. The convenient dimensions paired with the F1 or F2 front terminal connectors allow ease of installation and maintenance when installed in a battery cabinet. 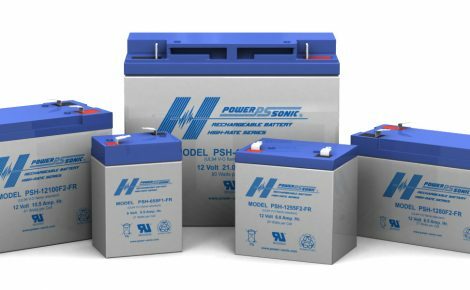 Power-Sonic PSH and PHR series batteries are designed specifically for high-rate discharge (UPS) applications. The construction the PSH ensures constant power.